Help Utopian Reach Their Funding Target on IndieGogo! Support Open-Source Software! Everyone who owns a computer with an internet connection has either directly or indirectly benefited from open-source software. Free and open-source software is usually built and maintained by volunteers who, more often than not, do not get paid for their work. Utopian is here to change that! They have launched a crowdfunding campaign on IndieGogo to fund the development of a new crowdsourcing platform called Utopian Colony. This platform will connect open-source projects with contributors and provides people with financial incentives to contribute to free and open source software. Utopian targets all layers of the open-source ecosystem, not just development. Through their proof-of-concept platform on the Steem blockchain, they have rewarded various contributions to open source projects. Rewards are given for a wide variety of work on open-source projects, including translations, bug hunting, graphical design, project promotion, etc. 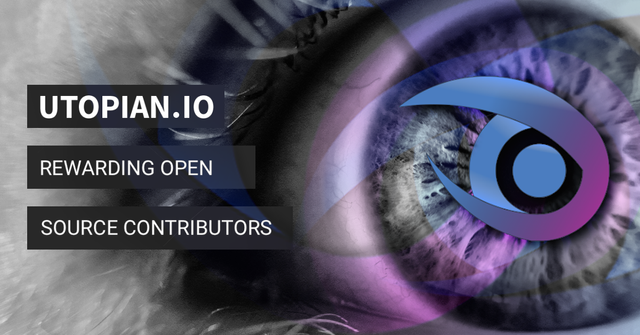 The current version of Utopian was created as a proof-of-concept, to connect professionals in various areas of expertise with open-source projects. Their primary method of fostering these connections, was by offering people incentives to contribute to open-source projects. These incentives were offered through the Steem blockchain, which also served as a platform to showcase and curate these various contributions. This has proven to be a big success and the contributions that have been made through Utopian have had a lasting impact on the open-source projects involved. Many of these open-source projects have attracted contributors who probably wouldn't have thought about contributing to open-source projects otherwise. While the current form of the Utopian project still exists today, it's time to go over to the next step: Utopian Colony. Utopian Colony differs from the current Utopian proof-of-concept, in the sense that it's more of a standalone social platform. There will be features that the current implementation of Utopian doesn't have and you will be able to easily access any contributions without having to rely on other Steem interfaces. What excites me the most about Utopian Colony, is the fact that it will provide a much more social experience than what's currently available. You will be able to create your exclusive Utopian Colony profile, while showcasing your contributions & skills. 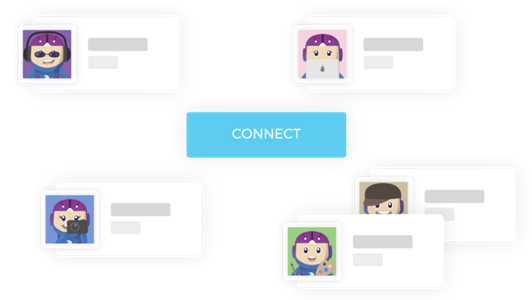 There will be an integrated chat system that allows you to connect with other users and teams. Another possible benefit of this, is that Utopian Colony would be a great way to show any future employers how much you've contributed to open-source projects. Giving them an easy and accurate way of assessing your skills. Even if you have no plans of ever contributing directly to Utopian-backed projects, it would still be a very good idea to help fund their crowdfunding campaign on IndieGogo. The platform you're currently reading this post on has likely benefited from open-source software or is developed under a permissive open-source license itself. By helping out with funding Utopian Colony, you personally ensure that contributors to these platforms are incentivized to keep improving them! Steem has around 10.000 active authors per day (source), if every one of these active authors would just donate $3.5 to the Utopian Colony IndieGogo campaign, then it would be fully funded! Keep in mind that they offer various rewards for donating! A small $10 donation will get you early access to the Utopian Colony platform, while the higher reward tiers will get you some exclusive perks, such as unique contributor badges & early username reservation on the platform. So, please consider contributing whatever you can to the Utopian Colony IndieGogo Campaign! The wider open-source community will be eternally grateful for your early support! Post proof of your donation in the comment section below and I will give your comment some love! Disclaimer: The article above should not be considered as investment advice. You are responsible for your own actions! Thanks for helping to promote this. Just glad I could help! I hope you reach your target. Thanks for sharing all of this great information. I might have to go over there and check it out. It seems like a really good project and I love me some open source software :) Those developers come up with some of the best pieces of software! Great @bozz! I see that you've also pledged :) Thanks for doing that! Your UA account score is currently 4.045 which ranks you at #3605 across all Steem accounts. Your rank has improved 2 places in the last three days (old rank 3607). In our last Algorithmic Curation Round, consisting of 213 contributions, your post is ranked at #37. Wow. I like Utopian, but I didn't know about Utopian Colony. I could have added it to my post on social media sites on a blockchain. I found 31. Now there's 32. Probably more. Thanks for the heads up.